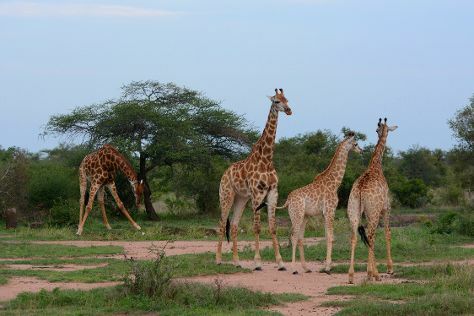 On the 11th (Wed), look for all kinds of wild species at Game drives at Phalaborwa Gate in Kruger National Park. 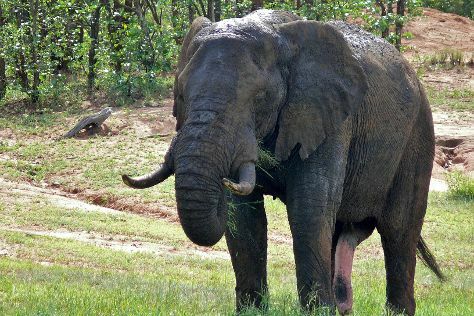 On the next day, tour the pleasant surroundings at Hoedspruit Endangered Species Centre and then tour the pleasant surroundings at Thornybush Game Reserve. For more things to do, traveler tips, ratings, and more tourist information, you can read our Hoedspruit online trip itinerary planner . Singapore, Singapore to Hoedspruit is an approximately 23-hour flight. The time zone changes from Singapore Time (SGT) to South Africa Standard Time (SAST), which is usually a -6 hour difference. Plan for slightly colder temperatures traveling from Singapore in April, with highs in Hoedspruit at 31°C and lows at 18°C. Finish your sightseeing early on the 13th (Fri) to allow enough time to drive to Nelspruit. Kick off your visit on the 13th (Fri): see exotic creatures in open habitats at a safari tour. Get ready for a full day of sightseeing on the next day: explore the striking landscape of Kruger National Park. To find where to stay, traveler tips, photos, and more tourist information, read our Nelspruit itinerary planning app . Traveling by car from Hoedspruit to Nelspruit takes 2.5 hours. Alternatively, you can do a combination of taxi and flight. When traveling from Hoedspruit in April, plan for a bit cooler days and about the same nights in Nelspruit: temperatures range from 28°C by day to 17°C at night. Wrap up your sightseeing on the 15th (Sun) to allow time to travel to Cape Town. Get outdoors at Cape of Good Hope and Clifton Beaches. Next up on the itinerary: stroll through Boulders Beach, admire all the interesting features of Cape Point Ostrich Farm, take in nature's colorful creations at Kirstenbosch National Botanical Garden, and contemplate the long history of Robben Island. To find where to stay, photos, more things to do, and tourist information, refer to the Cape Town tour itinerary planning website . Getting from Nelspruit to Cape Town by flight takes about 4.5 hours. Other options: do a combination of taxi and flight; or drive. Traveling from Nelspruit in April, Cape Town is a bit cooler at night with lows of 14°C. Wrap up your sightseeing on the 18th (Wed) early enough to travel back home.